Have you ever had that feeling, where you have way too much stuff of the same type and too little space to store it in a Slimefun server? Well, this plugin is just for you! You can also interact with the barrels, using Slimefun's Cargo Network. The following modules can be installed into Barrels, to enhance them. Explosion Module - Prevents the barrel from getting broken from explosions. Biometric Module - Prevents other people from accessing a Barrel. To add somebody to the barrels' whitelist, simply right click the barrel with a bound ID Card to the person to be added. Structural Upgrade I - Adds 8192 more capacity to a barrel. Strucutral Upgrade II - Adds 16384 more capacity to a barrel. Structural Upgrade III - Adds 32768 more capacity to a barrel. CS-CoreLib and Slimefun v.4.1.5+ must be installed for this plugin to work! auto-update: true //Disable this if you do not want the plugin to get auto updated. displayItem: true //Disable this if you do not want a display item on top of the barrels. plastic-recipe: true //Disable this if you want a cauldron to be used instead of plastic in the barrel's recipe. >I get this error when starting the server (1.13.2). And then i cant see any barrels in my slimefun guide book. Please help! in 1.13.1, it Doesn't make barrels. 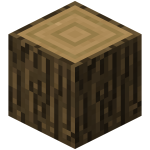 its just wood logs called "barrel"
Hey there, sorry for the late response. I just updated the plugin for 1.13. If you find any issues let me know! will do! my players will be sooooo happy thank you!!! I'm having alot of issues with this plugin on Spigot 1.12.2 I have Slimefun, I have the SlimefunBarrels addon and CS-CoreLib all updated, and still cannot even get a barrel crafted let alone with with the itemframe upgrades, some documentation or an explination to someone like myself who is very late to the party would be great. In fact after unlocking all research, it says that I need to unlock barrels elsewhere, and has it locked out (despite me having everything unlocked) this is making for a poor experience for my server, and I would prefer to have it fixed instead of removing it. Thanks in advance for any help. So happy to see this development continue! keep up the good work and hope to see more! John00708, love the plugin, great work! I had a major whoops though, and cannot seem to fix this. When i was testing barrels and cargo management in my test world, i broke a 'small barrel' while in creative. It broke the block, but now i have a looping hologram of each barrel that i broke. Renzotoms had the same issue that he posted back on June 2nd. Hi, I am found bug in plugin Barrels. When somebody put structural upgrade I - III to the barrel, he can´t manipulate with barrel. And when somebody broken it, it drop hologram item. How I remove it? I make hole to void, but, it will be lag, or no? How I can remove this bugged holographic item? And you can please fix this bug? Just like Renz did, i can break down through bedrock and watch the hologram fall into the abyss. Also i cannot place any block what so ever where the barrel was and the holograms continue to fall. I have un and reinstalled the plugin many times but it does not go away. 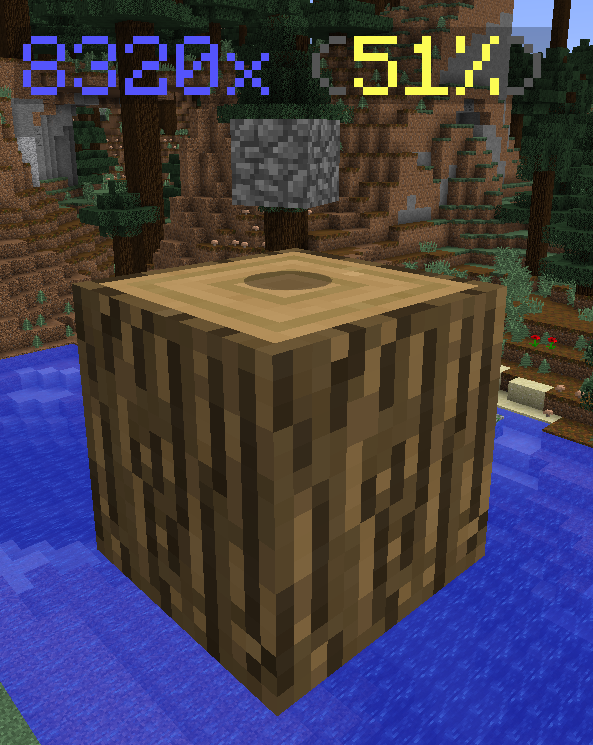 I know what you're thinking...post a log, use the slimefun debug_fish. I have searched for hours in the logs and there are no errors or warnings for this issue. World guard and multi-verse are not showing anything either. The console cannot see this problem and reports that Barrels_v1.9 is running properly. I have zero errors or warnings in the console. The debug_fish cannot pick up the problem either because it does not detect a block in that position to report on. Therefore, there is nothing to click on. The fish does however display the cargo management inputs and outputs. So i know it's working properly. Here a screenshot for you to see what i have going on. The only thing i can think of doing, is taking the time to save schematics of all of the builds in this world, then delete the world and start over. I'm pretty sure this would correct the issue. But i would like to know a fix in case it happens in the overworld. Thank you for such a great addition to slimefun! I hope this issue can be resolved because i do not want to remove this plugin from our arsenal. *NOTE* But be careful, the [r=5] is the radius it will remove all entities. You can change the radius number to whatever you'd like If you do not want to remove armor stands, item frames or any other mobs that are nearby. It seems you can punch the hologram off the barrel in 1.11, or is that normal? Will be fixed in the next Slimefun version. Any errors on the console? Without an actual bug report I cannot fix a bug. To remove the always responding item, you would have to delete it from the block storage. Use Slimefun's debug fish to do that. This has been fixed. However I am in Holland and do not have access to a computer. I'll prevent that from happening.